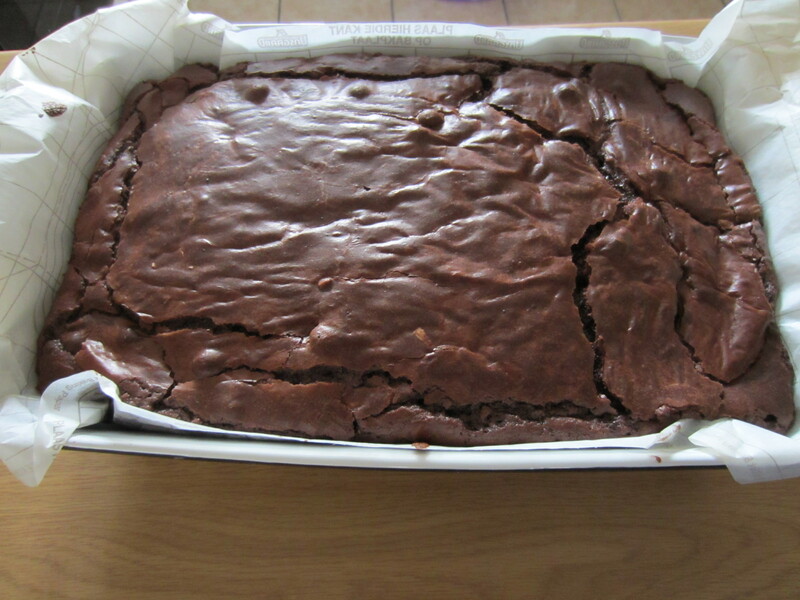 One of my first posts was the Chocolate Brownie, which you can view here. As you can see it’s more of a cake/pudding type of chocolate brownie, served with chocolate sauce and preferably some generous scoops of ice-cream. 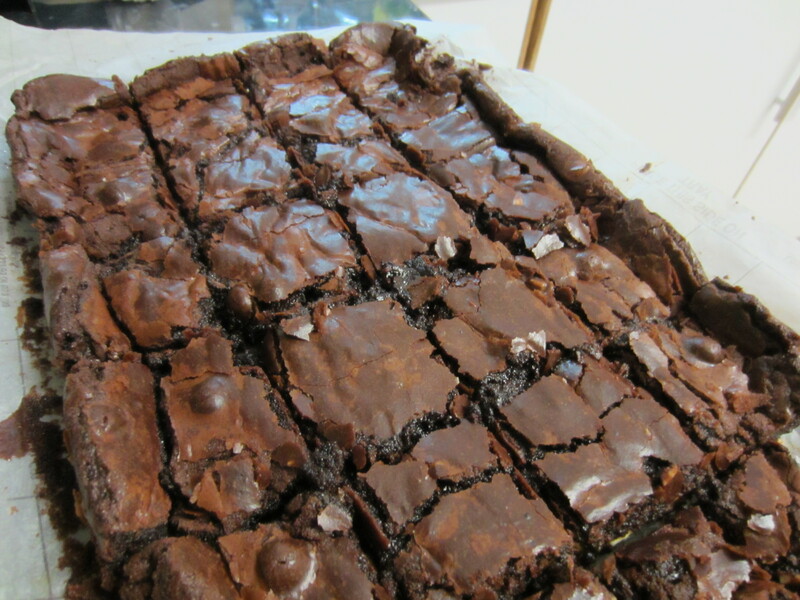 Whenever I go to really good bakeries, I see these really divine chocolate brownie squares, my new-found addiction is the Lindt double chunk chocolate brownies which are sold at the Thursday Earth Fair Market in St Georges Mall…oh my they are heavenly! To combat my constant craving for these delicious blocks of love and goodness, I decided to attempt some sort of version myself. 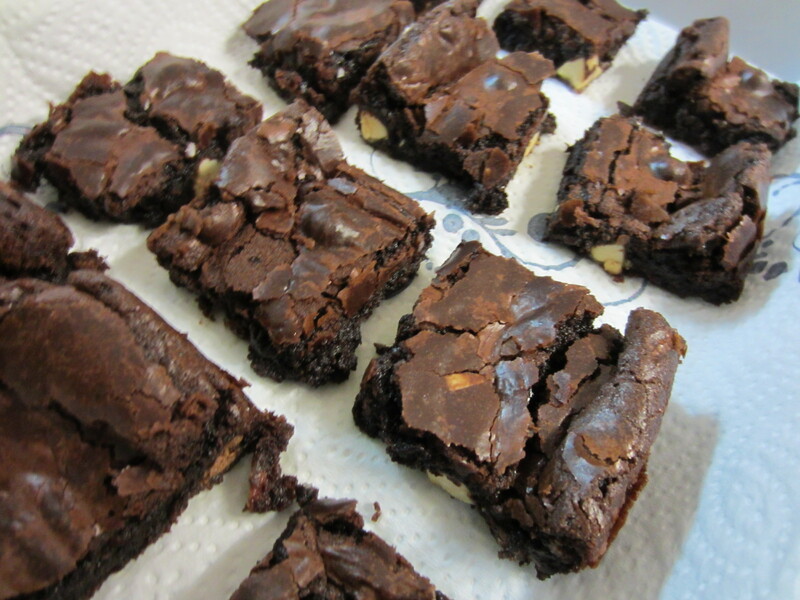 To make things a tad bit more interesting for this classic brownie recipe, I added a generous handful of roughly chopped milky bar, taking the chocolatey-ness (yes that’s a word in my dictionary) to the next level. I wish I could have taken some gorgeous pictures of them, but I promise you, before I knew it they were all swiped up….which is always a good thing! Wishing you all a great weekend and even better Heritage/Braai Day on Tuesday! 1. Preheat the oven to 180 degrees. Line a 23cm square baking tin with paper. 2. 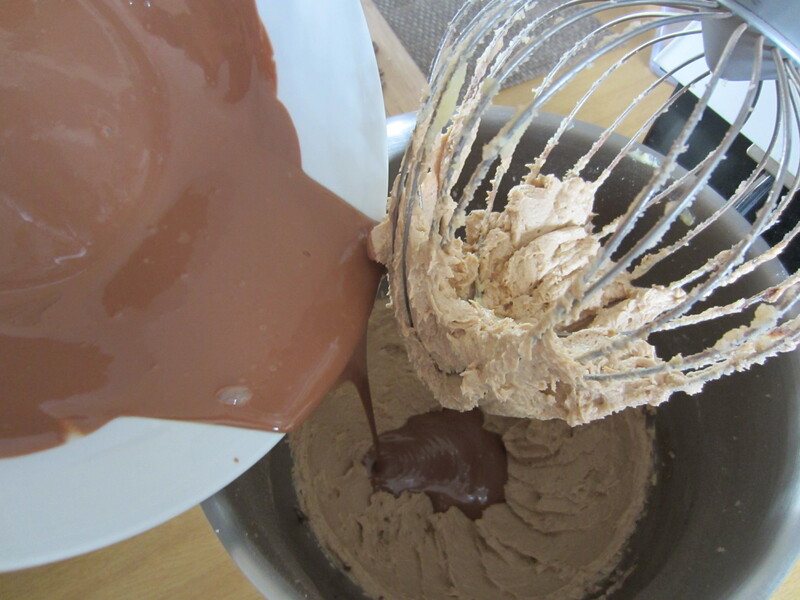 Melt 200g of the chocolate and set aside to cool slightly. Roughly chop the remaining chocolate. 3. 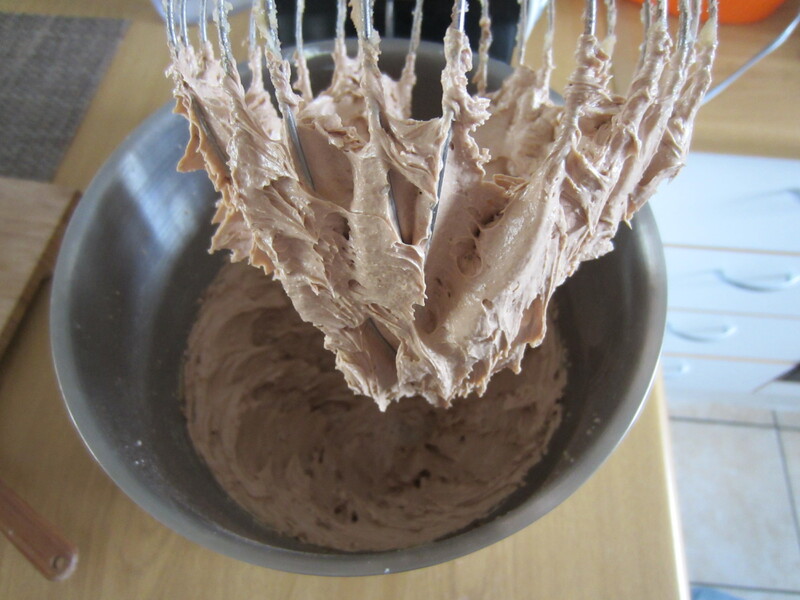 Sift the flour, cocoa powder, baking powder and salt in a medium bowl. 4. Beat the sugar and butter together until it is pale and fluffy. Add the eggs one at a time, together with a tablespoon of the dry ingredients. 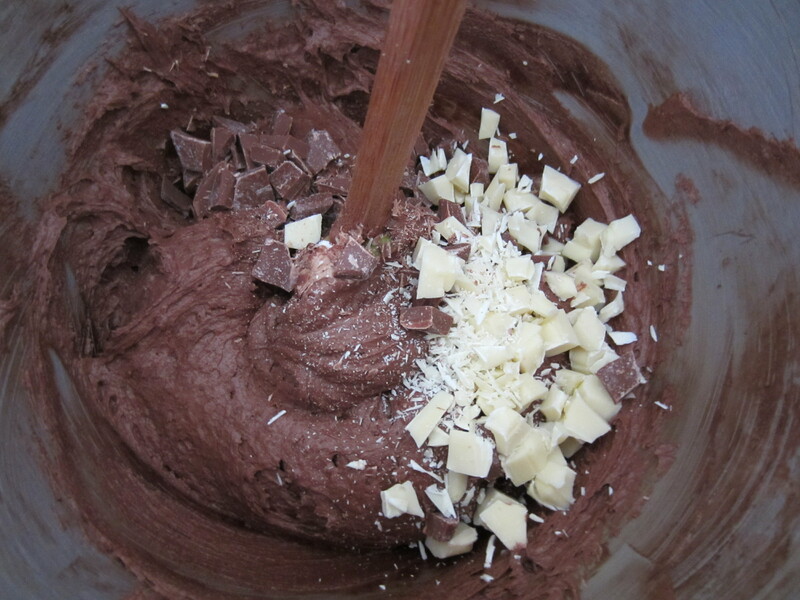 Beat in the melted chocolate, and then fold in the remaining dry ingredients and the chopped chocolate pieces. This is the opportunity to get creative and add nuts, more chocolate, etc. Now isn’t that just fluffy! 5. 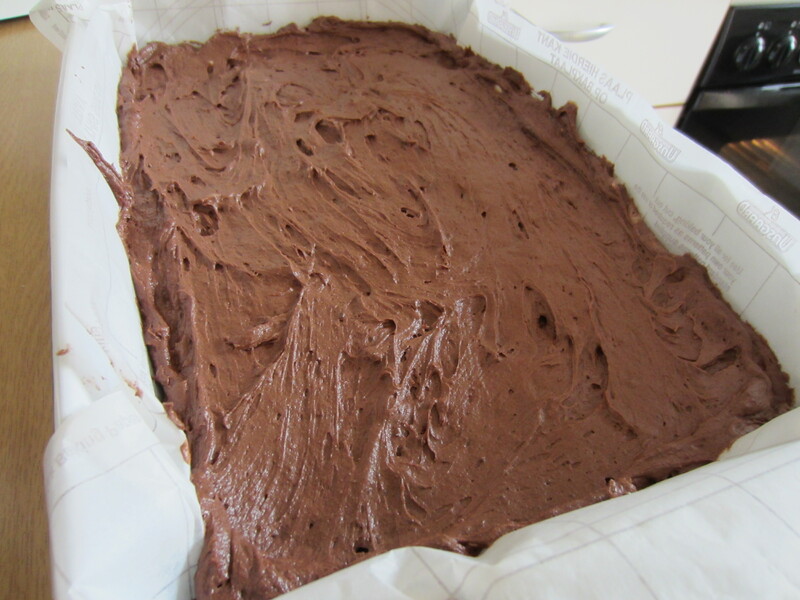 Pour the mixture into the baking tin and bake for about 30-35 minutes. 6. Cake tester inserted in the middle of the cake should come out sticky but not with raw cake mixture attached to it. The cake will also continue to cook as it cools.